· Page 1 · Found: 125 user comments posted recently. As much as ongoing Christianity wishes to explain away the adherence to the ecclesiastical calendar, such does not derive from an ordained NT pattern. Rather it traces back to the fancy and corruption of the church set from the first and second century when people, without Scriptural antecedent, began to uphold special religious 'holy-days' with a special service to mark different instances of the life of Christ, as his baptism, his temptations, etc... and later on his ascension and so on. "often as ye eat this bread, and drink this cup, ye do shew the Lord's death till he come"
When the ecclesiastical calendar highlights major events in the life of our Saviour it can only be a good thing to remember and meditate upon them. I applaud FFPC for celebrating the first day of the week that saw the Lord Jesus give Himself as the perfect and only sacrifice for the sins of His people. In the U.K. we hear very little about Palm Sunday. May God bless your day and bring glory to the name of Jesus. 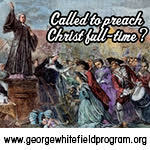 The Lectures are available here on SermonAudio. Is such an event going to be this summer? I'd love to send my kid there. He's only in 3th gradeand he's too much into computers and internet and I don't kno what to do. Instead of studying he just checks A TARGET=_NEW HREF=http://contac-us-for-assignments.brushd.com/work/18282/management-essay-samples and then copies samples http://contac-us-for-assignments.brushd.com/work/18282/management-essay-samples and then copies samples /A . I'm basically at loss. If you have any info, please email me. Merci à tous pour votre information, le site est très agréable et un contenu informatif. Grande poste. Un tel poste étonnant que vous avez partagé avec us.Its plein d'informations précieuses. Il est court mais très instructif. Je vais commencer à vous suivre maintenant et espérons que vous garderez partage avec nous. We had to cancel this event due to circumstances beyond our control. We will have the Tuesday night Bible Study at the Samford's as usual. 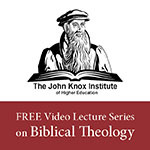 Is there anyway to download these sermons from this seminary on SA? Or do we only have the chance of listening to them live? Praise the Lord for Dr. Lawson's clear, hard hitting preaching! Our family is not able to attend the conference this year (1st time since the conference began), but we are tuning in via SermonAudio.com. We love Dr. Lawson and Anne and the folks at CFBC! We continue to remember you all in our prayers-may the Lord bless you as you enjoy His Word. Are you going to address Exclusive Psalmody? VBS will start at 6:30pm each evening and we have classes for all ages. looking online at church website trying to find out about VBS.Can't find any mention of time.When is it? And what ages do you have classes for?